Ezreaonne Jackson was born in Jackson, Mississippi on January 14, 1951 to the late Warren L. Jackson and Yvonne Edwards. She was nurtured both Baptist (her father's preference) and African Methodist Episcopalian (her mother's preference). At age 19, she received Christ as her personal savior. While a member of the Churches of God in Christ, under the late Bishop R. Stewart; she was licensed by the Northern California Jurisdiction as a deaconess, missionary, and evangelist. She was tutored and served the Church of God in Christ for over 15 years. Experiencing a divine encounter and hearing the clarion call from God, "Take the Limits of Me" she joined Deliverance Temple in San Francisco under the leadership of Apostle Tony Cooper, where she was mentored in the prophetic/apostolic anointing. Apostle Tony Copper is prolific in Apostolic Kingdom Ministry and laid his mantle on her. Her evangelistic mantle has caused her to travel extensively as she has preached in 24 states and many of the cities therein. Internationally she has spoken in Kingston, St. Catherine, Ocho Rios in Jamaica, West Indies to congregations of thousands. In the year 2002, the Apostolic Regent (College of consecrated Bishops and Apostles orchestrated by Dr. Garner Trafton) officially affirmed her 5-fold ministry as an Apostle with all its authority as given to 1st Century Apostles. Her career in the secular arena included (Kaiser Steel, AT&T, Dean Forwarding and Snelling Personnel to name a few), consisted of serving as Supervisor of Office Services, Assistant to the Human Resources Directors, International Freight Forwarder, and Administrative Assistant to Sales and Management. She is presently in full time ministry. After retiring from 20 years of pastoral ministry, in the winter of 2012 God directed Dr. Jackson to return to Bethel, her home town in the Bay Area of Northern California. After obeying God she transitioned and was given an Apostolic “Send off” from Richmond, VA and has returned home in October of 2012 with new Kingdom instruction to empower the leaders and assist the Generals in Ministry. Touch of Compassion Breakthrough Ministries, Inc.
And several para-ministries and evangelistic mission ministries. Apostle Ezreaonne Jackson is also a published author. The Perils of Ministry is her first literary published composition as she has recently released her published one of two series of her called titled The Secret Mandate of Rabah which can be purchased at Lulu.com. 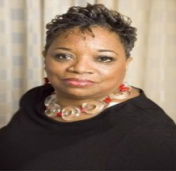 She received her Bachelor of Arts degree in Theological Studies from the Regency Christian College in Jacksonville, Florida and recently received an Honorary Doctorate in Ministry from Trinity Bible College in Richmond, VA. Her personal focus and motto is: "INTEGRITY A MUST." She has sons and daughters throughout the states who are pastors and church leaders, displaying the integrity of Jesus because of their spiritual mother's mantle. She is the natural mother of Mrs. Ezreaonne Richmond, son, Sergeant James Richmond (US Army), and grandmother of four wonderful babies (Dareaone, Areaonna, Jaydn, and Ja'Mani).